This month’s mission may sound a little quiet, unexciting and frankly, boring. But can I tell you something? It may be one of the best things you’ll ever do with your kids. I want you to pray. That’s right, pray. I want you and your kiddos to huddle up every single day this month (or as best you can) and pray for someone else. 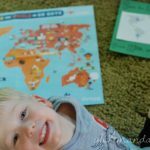 I want these missions to open my kids’ eyes to the world. I want them to recognize that life exists outside of themselves. 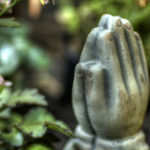 So, we are going to be praying for the THUMB people. Have you heard of this? 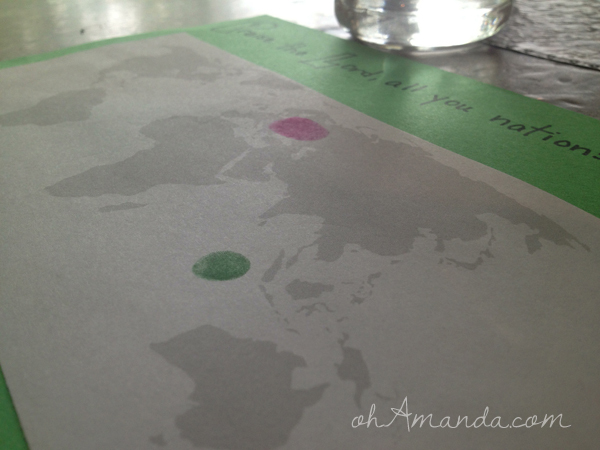 So, I printed off a simple map and as we pray each day, we’re going to put our thumb print somewhere on the map. 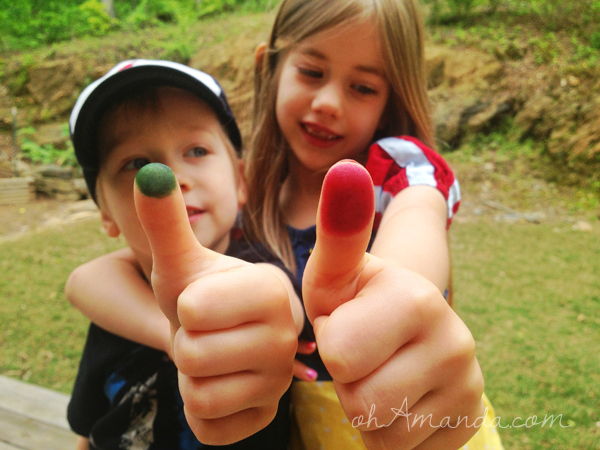 This morning, we added our first thumb prints and as a double whammy we now have inked thumbs to remind us to pray all day! I’m hoping this will be a constant reminder of God’s great love, how big the world is and how powerful our small prayers can be. 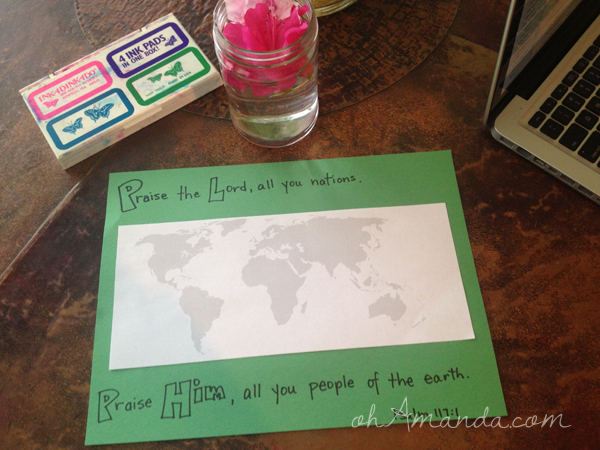 I also tried ordering these prayer cards from NavPress (the shipping was more than the cards, boo! and then the purchase wouldn’t even go through) with prayer prompts and information about each people group. They have a few up as digital downloads so I’m using them as a guide right now. 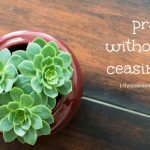 There are many other people and places to pray for, these are just the ones we’re doing this month. My friend, Jacquie from Echoing Him is our guest blogger this month. 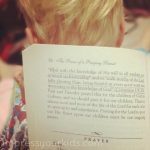 Click over to her site to see who she’s praying for and how she and her kids are accomplishing this mission! OK! 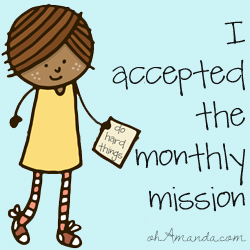 So, let’s recap: your mission this month is to pray for someone who needs to know Jesus! 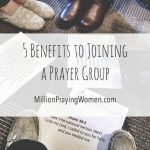 Spend time getting to know them and the specifics of how you can pray for them. Do a little google search or even contact someone at your church who might have information about missionaries and organizations your church supports. 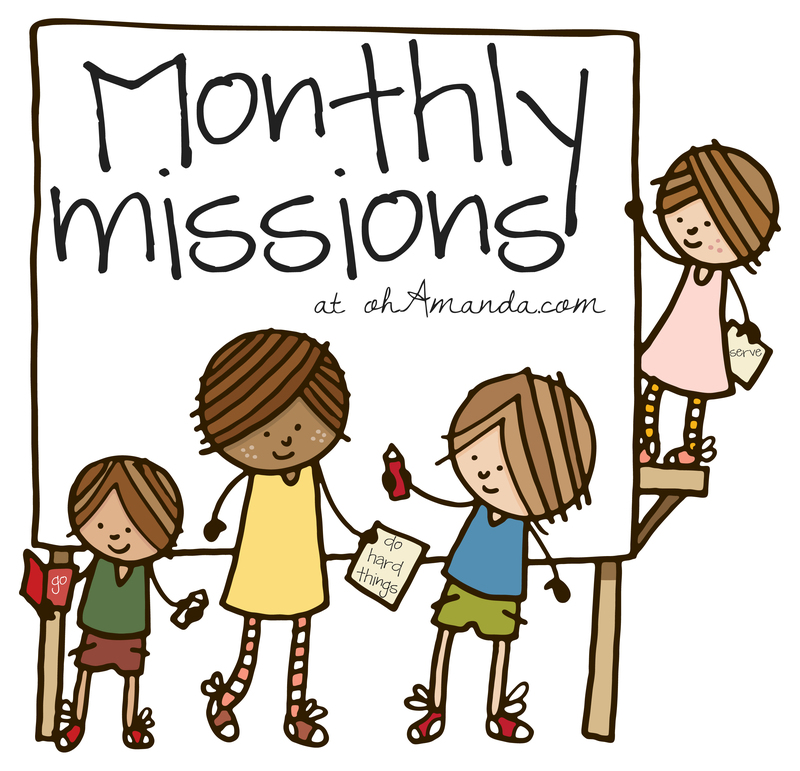 And hey–during the month, as you pray or talk to your kids about this mission, snap a picture or two and link it up on our Monthly Mission page. You can even grab one of these cute buttons to add your your blog or website. I want us to feel like we have a team of friends doing this together–a little army of sweet little kiddos taking their requests to the Lord together!